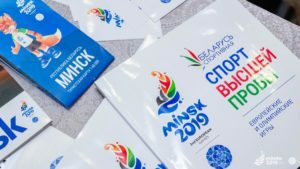 Publications dedicated to the 2nd European Games Minsk 2019 were presented at the 26th Minsk International Book Fair, which was held in the Belarusian capital on 7 February. tation was the book from the “Belarus Sport” series named “Top-class Sport. European and Olympic Games”. The Minsk City Guide for the Games provides useful information about sports facilities, the main historical and cultural sites of the capital, museums and theatres, hotels, restaurants and cafes. The guidebook includes also QR-codes, so as the visitors can directly access directly the websites and learn more. 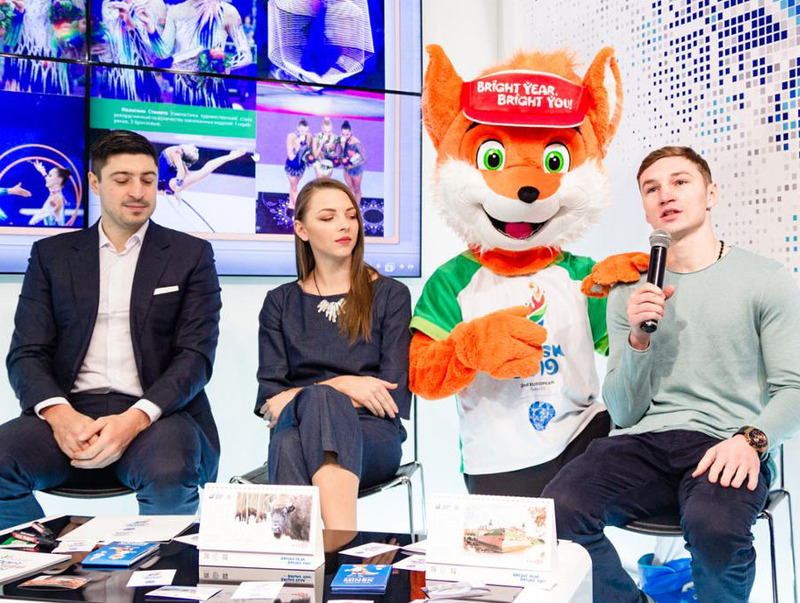 Some of the most famous Belarusian athletes took part in the event, including several champions from the inaugural European Games Baku 2015, such as Andrei Bogdanovich (Canoe Sprint), Vasilisa Marzalyuk (Wrestling), Dmitry Asanov (Boxing), and Melitina Staniouta (Rhythmic Gymnastics). Another innovation regards the official app of the Games, which was launched in the Hi-Tech Park business incubator on 8 February. The developer is LLC Synesis sport, the official supplier of the Games software and hardware unit. 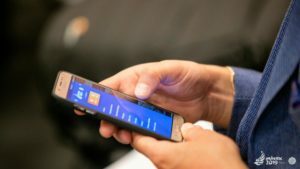 The Minsk2019 application is available for users from all over the world on Android and iOS platforms. Its main feature is that users won’t need to have a stable Internet connection to access it, as the most important information about the Games and the infrastructure is provided offline. It will also allow to receive push-notifications of the latest news, create personal newsfeed according to their interests, look through the schedule of events with an event filter, lay the route to a sport facilities in the most convenient way and learn about local attractions. “We are glad that our partners from the software and hardware unit development for the Games have created such a quality product. And from today users all over the world can see the advantages of it”, Katulin also added.